An action-packed afternoon ended at the Bandstand where we performed Black Joke in front of the other dance sides. 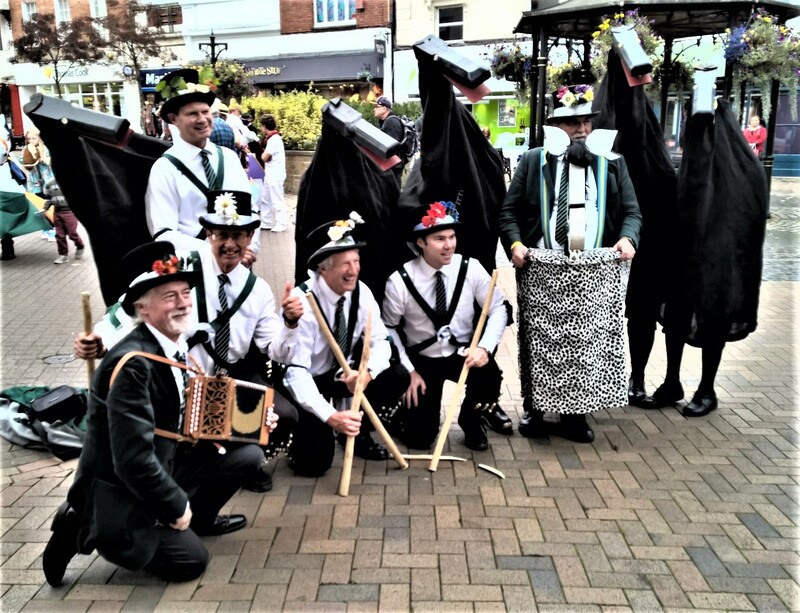 After the final procession of beasts we danced Constant Billy and were joined by four of the splendid Broadstairs Hooden Horses (as seen in the photo below). 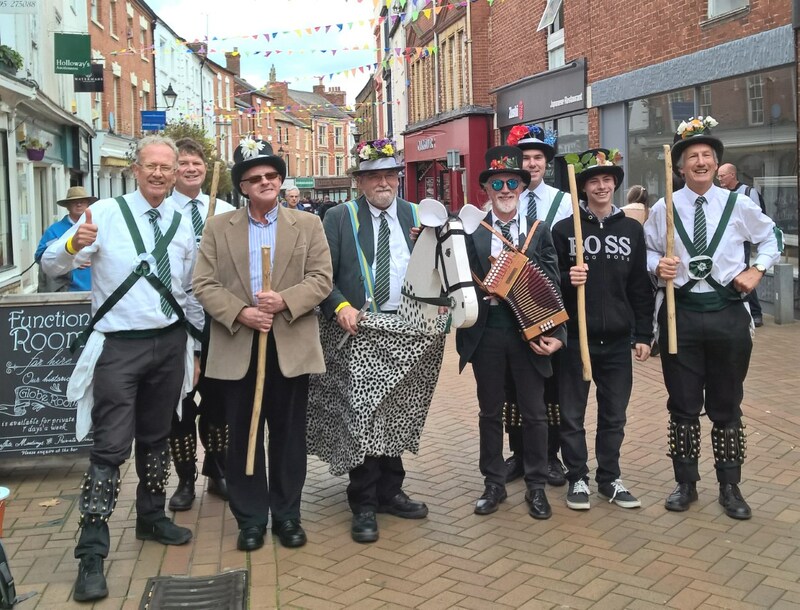 The weather was kind to us and this was the most enjoyable day I have had in Banbury for a very long time. Thanks as ever to our musicians: Malcolm, who combined whistle playing with riding Charlie the ‘Oss and of course to Donald. Congratulations to Troy, who has assimilated the AVMM dances in an amazingly short time and has quickly established himself as an essential component of the side.